RICHARD & JUDY BOOK CLUB 2017. SHORTLISTED FOR THE 2017 COSTA NOVEL AWARD. 'A novel of huge scope with a tremendous sense of period and place' Costa judges **'**A dazzling tale of romance and survival' Guardian Follow the path to the freezing north. Follow your ambition. Follow your heart Flora Mackie first crossed the Arctic Circle at the age of twelve. Years later, in 1892, determination and chance lead her back to northern Greenland as a scientist at the head of a British expedition, defying the expectations of those who believe a woman has no place in that harsh world. Geologist Jakob de Beyn was raised in Manhattan. Yearning for wider horizons, he joins a rival expedition. Jakob and Flora's paths cross. It is a fateful meeting, where passion and ambition collide and an irresistible attraction is born. The violent extremes of the north obsess them both: perpetual night and endless day; frozen seas and coastal meadows, and the strange, maddening pull it exerts on the people trying to make their mark on its vast expanses - a pursuit of glory whose outcome will reverberate for years to come. Acquista Under a Pole Star in Epub: dopo aver letto l’ebook Under a Pole Star di Stef Penney ti invitiamo a lasciarci una Recensione qui sotto: sarà utile agli utenti che non abbiano ancora letto questo libro e che vogliano avere delle opinioni altrui. L’opinione su di un libro è molto soggettiva e per questo leggere eventuali recensioni negative non ci dovrà frenare dall’acquisto, anzi dovrà spingerci ad acquistare il libro in fretta per poter dire la nostra ed eventualmente smentire quanto commentato da altri, contribuendo ad arricchire più possibile i commenti e dare sempre più spunti di confronto al pubblico online. 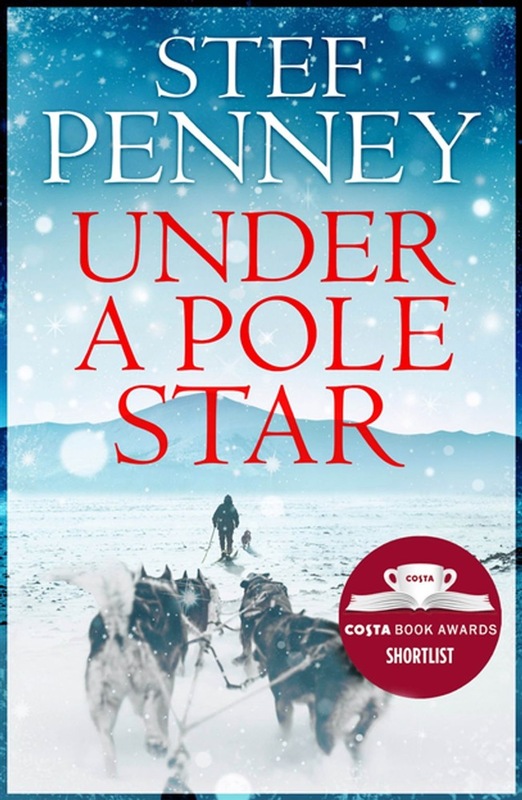 Under a Pole Star is a huge story but I loved every minute of it. I was attracted to this book as it was about explorers in the late 1800's and the work they had to do to get to the most inhospitable places on earth. This really fascinates me. It tells the story of Flora Mackie who at an early age is taken by her father on board his whaling boat sailing from Dundee, Scotland to Ellesmere Island spending most of her younger years living with the Eskimos. As she grows up she is sent back to England for a formal education. She becomes a meterologist and eventually leads her own expedition into the Artic circle. The novel covers many areas detailing the lives of Flora and Jakob de Bryn, an American geologist whom she met in Greenland, their passionate relationship and their shared obsession with the Artic. Flora is a wonderful character: strong, clever and determined. Throughout the book there are sections with Flora as a much older lady returning to the Artic having been married 3 times, detailing her life with a journalist and reminiscing about the great loves of her life - Jakob and the frozen north. The relationship between her and the explorers and the Inuit people was very interesting to read about, and most of all her descriptions about the vast, bleak yet beautiful landscape, the expeditions, and the explorers' obsession to push further and further north in such an unforgiving and brutal environment. Stef Penney has exceptional writing ability and I shall now look out for her previous novel "The Tenderness of Wolves".